New Orleans, La. 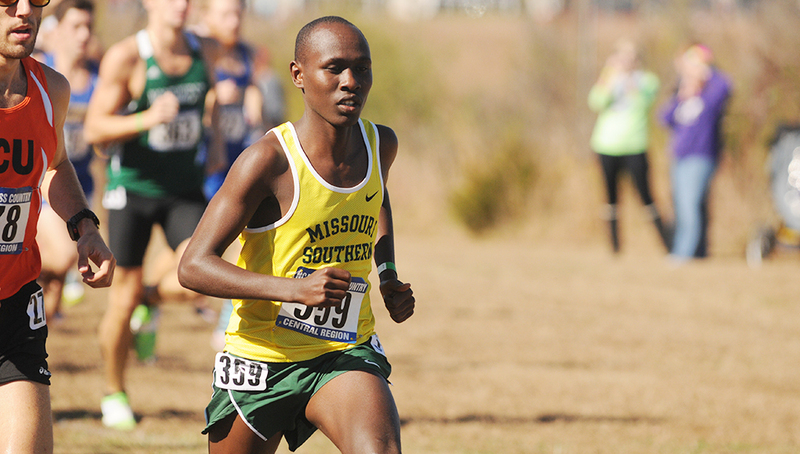 — Missouri Southern sophomore Vincent Kiprop has been named the United States Track and Field and Cross Country Coaches Association National Runner of the Week this week, the organization announced today. Kiprop was the MIAA Cross Country Runner of the Week this week as he picked up where he left off in 2015, by winning his first event out of the gate as the Lions swept the first five spots at the Bearcat Invite this weekend at SBU. He raced the 8k course in a time of 23:08.68, nearly 50 seconds in front of his nearest competition. The closest non-MSSU athlete to finish behind Kiprop finished 1:23 behind his winning time. Kiprop is the reigning MIAA and Regional Champion in cross country, as well as the 2015 National Runner-Up. He was also the Division II National Champion in the 10k. Kiprop and the Lions will be back in action on September 17 when they play host to the Southern Stampede.